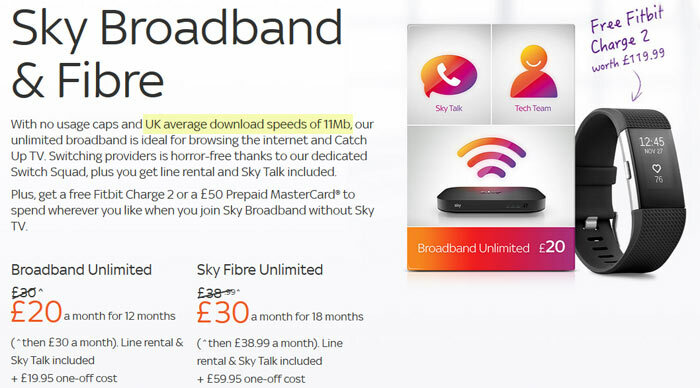 Next month there is going to be a significant change in the way broadband speeds are advertised here in the UK. 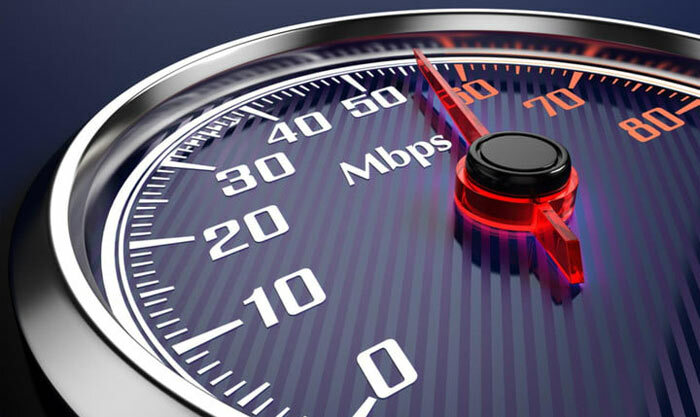 Currently ISPs use a headline ‘up to’ speed claim, but from 23rd May the Advertising Standards Authority (ASA) will expect all broadband providers to advertise the average speeds of their respective offerings. In case you don’t know the exact details of how the current ‘up to’ claims work, it is based upon a 10 per cent rule. The headline claim figure you see today when you browse for ISPs is verified to be available to at least 10 per cent of the ISP's customers. As ISP Review further explains, in addition the ISP must detail any other factors or limitations that will affect a user’s speeds. Broadband customers are very accustomed to seeing adverts for ‘up to 17Mbps’ (c.20Mbps ADSL2+ lines), ‘up to 38Mbps’ (40Mbps FTTC lines), and so on. So how will the new guidance system, which ASA believes will provide “a better indication of the actual speeds,” work? Again it is focussed upon download speeds. This time ISPs must advertise the median downstream speed measured at peak time (8pm to 10pm) for their headline consumer ad claims. According to ISP Review, Sky has already adopted the new approach in its marketing, with the basic service advertised as providing an average download speed of 11Mbps, and the top end Fibre package from the company listed as delivering an average 57Mbps. You can see an example of this advertising stance in my screenshot, above, and here. Virgin Media in the UK has a dedicated page showing off its monthly average 24hr speeds, but this is nothing to do with the ASA ruling. I've always taken quoted speeds with a pinch of salt and realise it will also be area dependent due to installations Etc. We are with Virgin and live in Surrey , having opted for Virgins 100M package I average about 84 Mbps on downloads and I accept that as good enough and will credit Virgin for having next to no problems over the years , service has been excellent.I'm old enough to remember when we just had dial - up , hours to download a few megabytes and pray your connection didn't fail. We really ought to be thankful for the progress made down the years. I don't see how this is anything but a useless statistic being presented as something it's not. It really doesn't give anyone an indication on the speed they will receive - the estimate already does that, but what this sort of poorly thought out nonsense does do is encourage selectively accepting subscribers and speed test manipulation. Some ISPs already refuse to supply a connection to people with a very low estimate as it drags their stats down, and speed tests are often hosted on-net and prioritised to some degree on some ISPs anyway. ISPs like Virgin get away with leaving congestion issues to fester for months or years with no resolution, but as long as speedtest.net looks ok for a decent percentage of people, the average still looks better than other ISPs. And they can still drag up the mean and median by introducing speed bumps. Edit: oh and one more thing, as for that top 10% nonsense, my package was advertised as ‘up to 74Mb’ yet my line syncs at 80… Yet more useless regulation faffing. I was there with the engineer. The first one out of the cabinet with FTTC Superfast a few years back. Engineer then line tested at 59 Mbps, first week or two I downloaded at about 48, now my ‘upto’ 76 speed is closer to 40. Line speed and download speed; does anyone get the theoretical maximun? I get slightly over. In fact max attainable rate on my line is over 90Mb downstream but Openreach cap it at 80. Theoretical max for the profile used by OR is 100Mb. They will usually drop you to the 40/55 capped package if your sync is lower than that rather than you paying more needlessly. Dropping over time can be due to crosstalk if lots of people have subscribed or a deteriorating line. Also check there's no noise on your line, including if you nudge phone cables during the test. Ahh there's another project for me - Is there an easy method for checking the noise on my internal cabling?